NEW ORLEANS -- Louisiana investigators are combing through evidence in the shooting death earlier this week of a 6-year-old autistic boy after authorities charged two law enforcement officers in the shooting. Col. Mike Edmonson, in a late night press conference Friday, said the two officers were being booked on charges of second-degree murder and attempted second-degree murder in the Tuesday shooting death of Jeremy Mardis and the wounding of his father, Chris Few, in the central Louisiana town of Marksville. Edmonson vowed to continue the investigation wherever it leads. "Let's make tonight about Jeremy Mardis. That little boy was buckled in the front seat of that vehicle and that is how he died," Edmonson said. "He didn't deserve to die like that." Speaking of the body camera footage that was recovered from the officers, he said: "It is the most disturbing thing I've seen, and I will leave it at that." 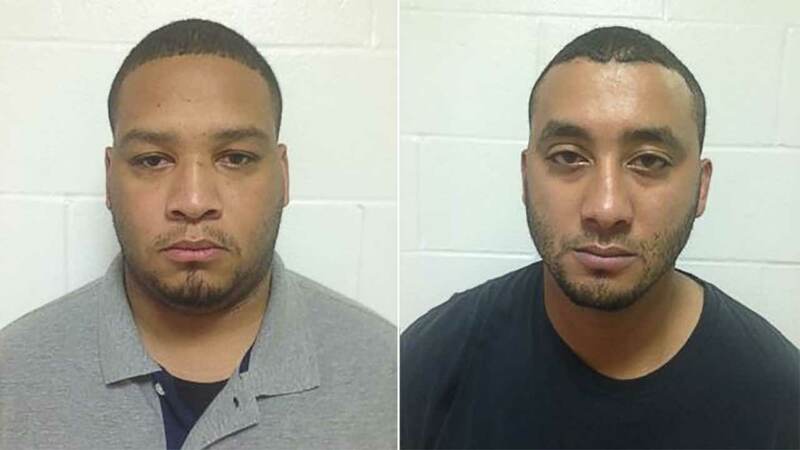 The two officers are Norris J. Greenhouse Jr., 23, of Marksville and Derrick Stafford, 32, of Mansura, Louisiana. Both were working secondary jobs in Marksville as marshals when the shooting happened, Edmonson said. State police have been investigating the Tuesday night shooting that raised questions almost from the start. State police are combing through forensics evidence, 911 calls, conducting interviews and reviewing the body camera footage, Edmonson said. Two other officers were involved in the incident. When Edmonson was asked whether he anticipated any more arrests, he said: "We'll see where it takes us." It's still unclear what led police to pursue Few and what triggered the shooting. The parish coroner said earlier this week that the officers were serving a warrant on Few when he fled, but Edmonson later said he had no information about a warrant. Few's 57-year-old stepfather, Morris German, has accused the marshals of indiscriminately opening fire on the vehicle. German said Few was heavily sedated, unable to talk and has bullet fragments lodged in his brain and lung. He described Few as a loving father and added the man's son "was his whole life." German added that the 6-year-old had been diagnosed with autism, describing him as a delightful child who "loved everything, everybody." German said the boy had no siblings and the family had recently moved to Marksville from Hattiesburg, Mississippi. "I know a 6-year-old should not have been shot," German said.